Frank A. Bailey's practice is focused on jury trials, workers' compensation claims, and appeals before the Connecticut Supreme and Appellate Courts. He joined Tremont Sheldon Robinson Mahoney after graduating from Cornell University and receiving his Juris Doctorate from the University of Connecticut School of Law. He is admitted to practice in all state and federal courts in Connecticut. 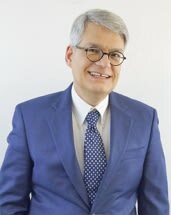 He has been selected as one of the Top 100 Trial Lawyers in Connecticut by The National Trial Lawyers. Mr. Bailey is both attentive and diligent in his understanding of the details of each case. He believes that frequent communication with his clients is essential. His ability to master the factual and legal issues of a case is the secret to his success and a valuable asset to his clients. He typically handles trials involving personal injury cases including those arising from automobile accidents, slips and falls, construction accidents, defective highways, illegal high-speed police chases, carbon monoxide poisoning, and legal malpractice. He handles workers' compensation matters and is listed by Connecticut Super Lawyers® for his work in this field. He has been recognized by The Best Lawyers of America® as one of the leading workers' compensation attorneys in the country. Mr. Bailey is also AV Rated by Martindale-Hubbell (the highest possible rating for a lawyer). He is the current chairman of the workers' compensation section of the Connecticut Trial Lawyers Association and the Greater Bridgeport Bar Association. He serves as a Special Master for the Connecticut Superior Court. He has briefed and argued appeals before the Connecticut Appellate and Supreme Courts. Mr. Bailey has also lectured extensively on workers' compensation and uninsured motorist law. As a former Eagle Scout, Mr. Bailey is active in the Boy Scouts of America as well as other community organizations. He is a member of the American Bar Association, the Connecticut Bar Association, the American Association for Justice, the Connecticut Trial Lawyers Association, and the Greater Bridgeport Bar Association. "What I enjoy about the way we practice law is that we represent folks, regardless of their background or the ability to pay. We take on large institutions, such as insurers, doctors, and corporations, so that our clients are treated fairly and justly."